When I think of Gelato and the flavors that it can be ordered I think of Strawberry, peach and even Mocha. Then, one day I decided to have dinner at Vivo and Sewickley and they introduced to me a Tomato Basil Gelato that will seriously knock your socks off! This homemade creation is done the old fashion way and is made with real tomato’s and basil. 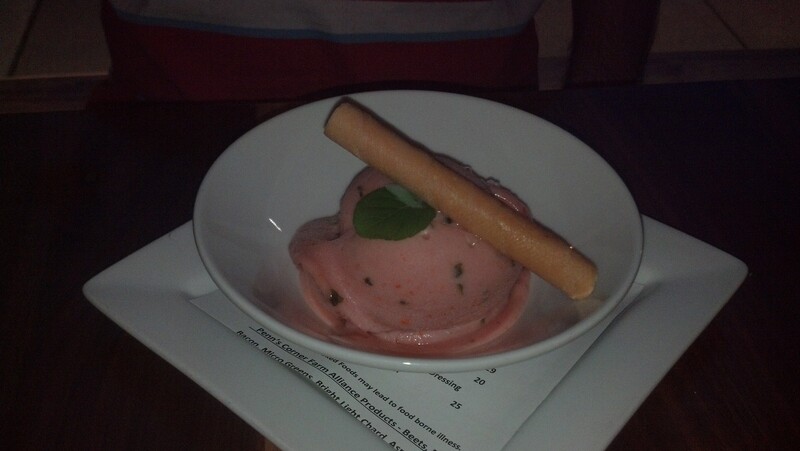 The basil is very refreshing and the tomato is sweet and almost tastes like strawberry. I highly recommend asking for it this summer, you won’t regret it!